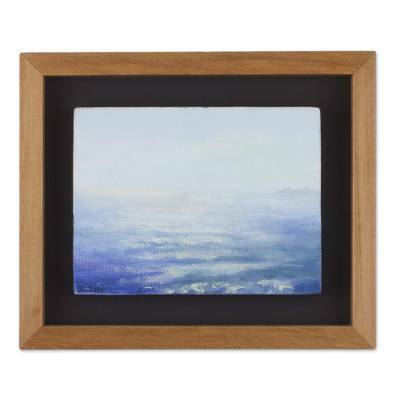 Signed Impressionist Seascape Painting with Frame from Peru, "Infinity Sky"
The blue waves of the ocean drift into the infinite white sky beyond, painted with expertise by Diego Bejar. Using classical materials and techniques, he captures this enchanting scene in the impressionist style, allowing forms and colors to blend together. The artist paints from the Barranco district of Lima, Peru.